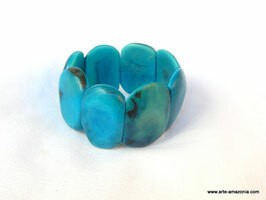 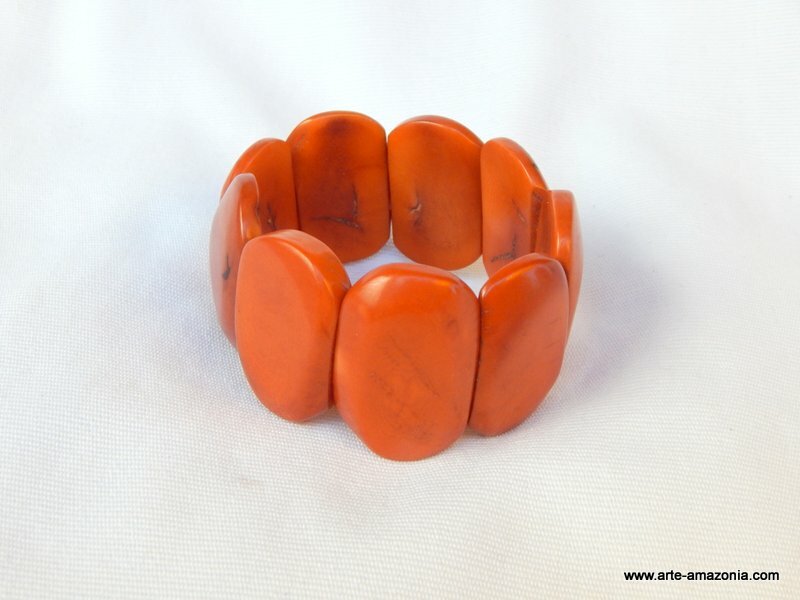 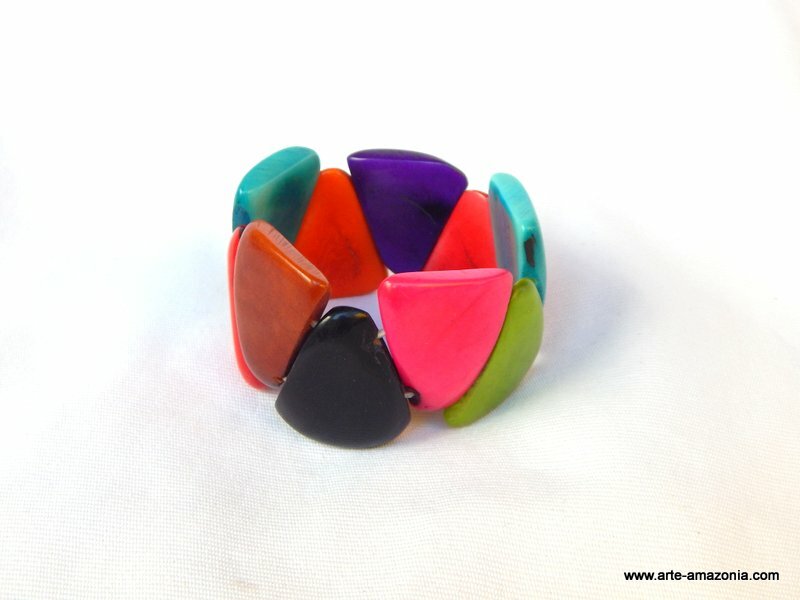 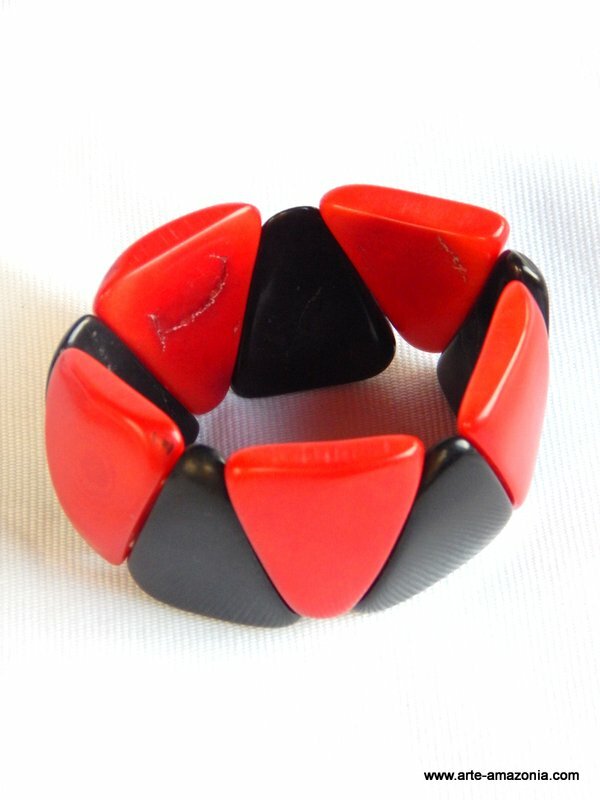 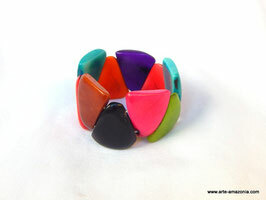 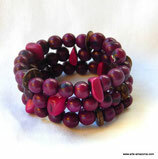 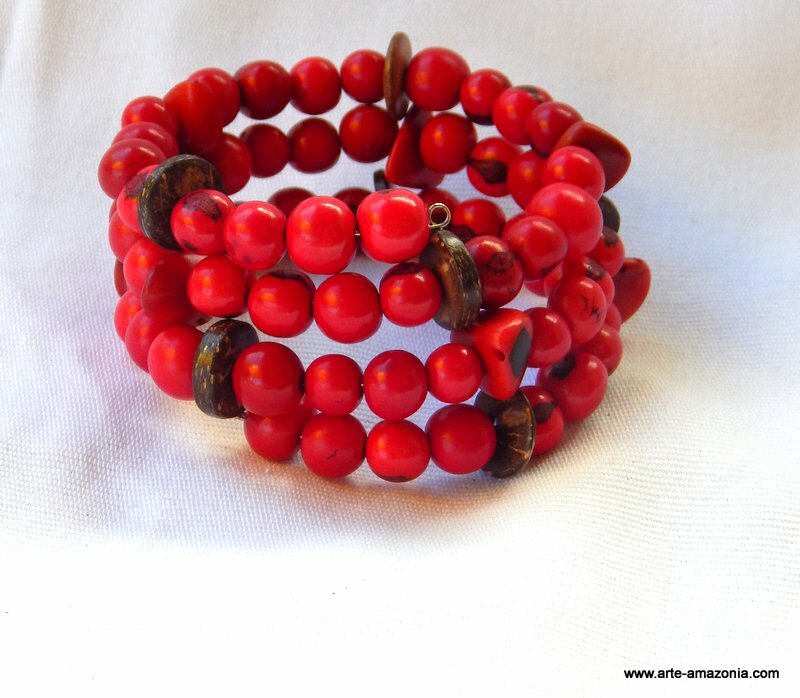 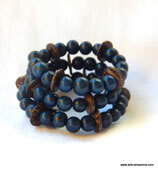 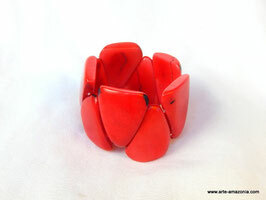 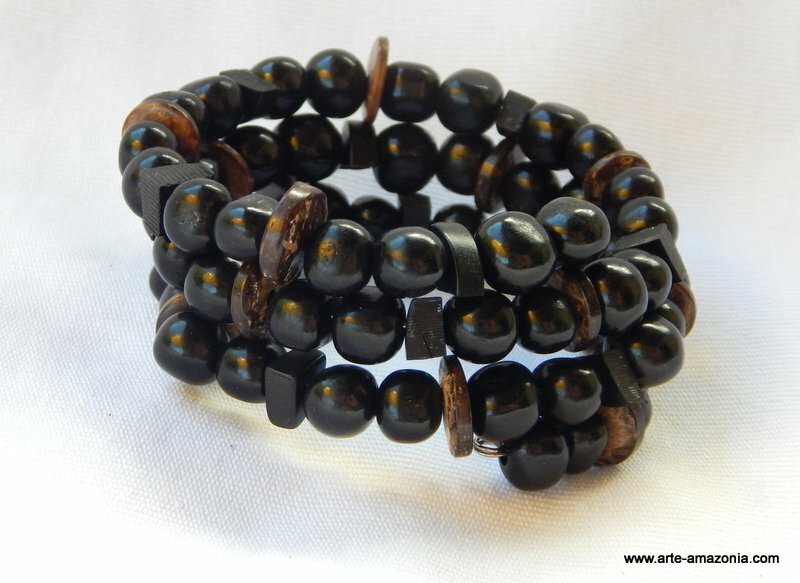 Tagua Bracelets - ARTE AMAZONIA provides a global voice through art for the indigenous cultures of the Amazon. 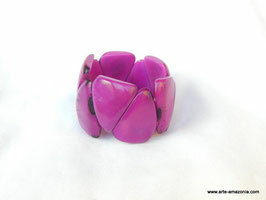 Tagua is one of the most beautiful and versatile of seeds on the planet. 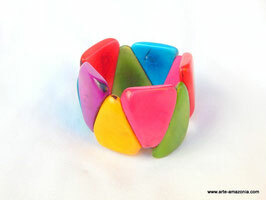 It is an eco-friendly product and sustainable material. 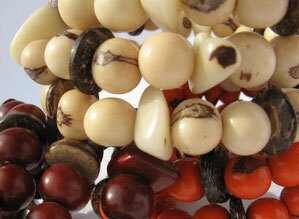 It is cherished by animal lovers who seek alternatives to animal products such as elephant ivory and bone. It had been used by indigenous cultures of South America for thousands of years and is even said to give powers of attraction and fertility. 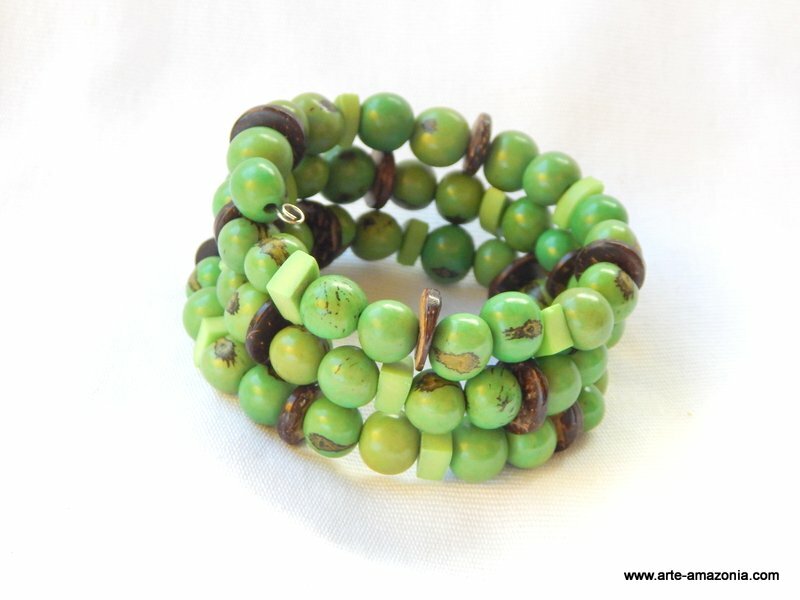 Because of its smooth, white, and hard qualities it is often referred to as vegetable ivory and and excellent alternative to elephant ivory. 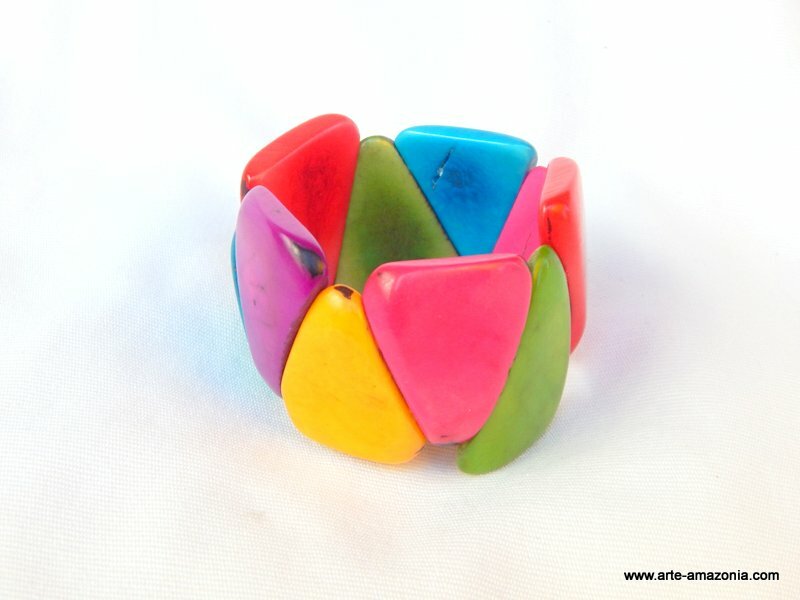 It can easily be dyed and cut or carved to create stunning and unique sculptures, beads, slices, buttons and more. 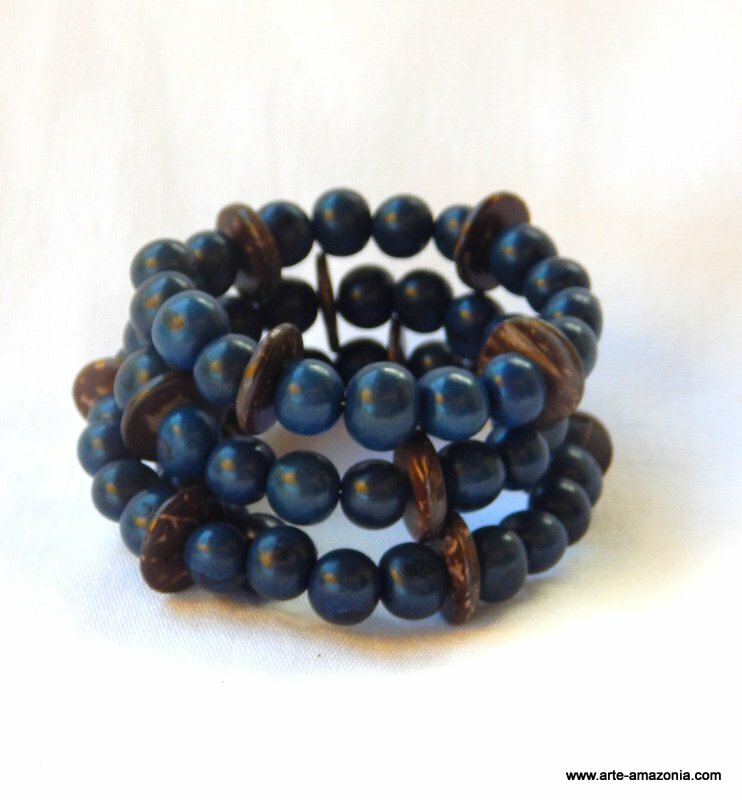 Snake bracelet wraps itself around your wrist and is handmade from Peru. 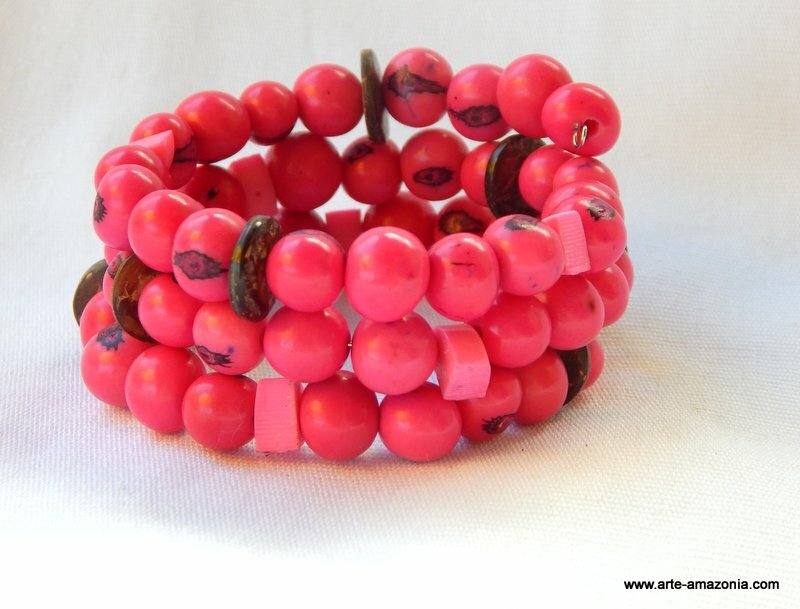 Snake bracelet wraps itself around your wrist and is handmade from Peru. 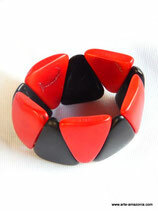 Black Tagua with brown coconut rings.